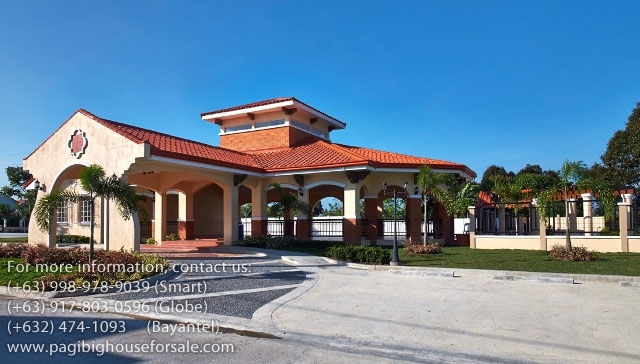 Gianna at IL Giardino Residences is a two storey single attached cheap houses for sale thru Pag-Ibig in General Trias Cavite that is delivered completefinish with floor tiles. 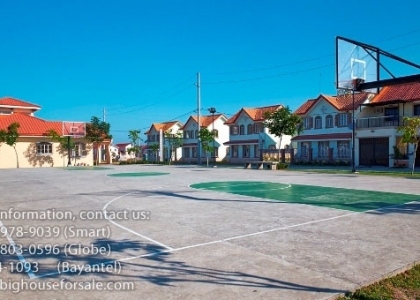 It has 3 spacious bedrooms, 1 car garage and 1 toilet & bath. 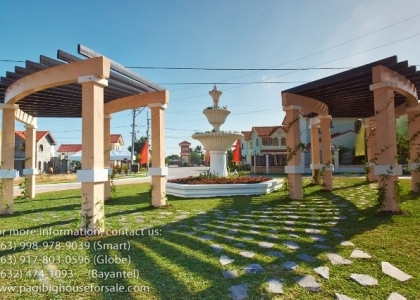 Gianna at IL Giardino Residences has floor area size is 100 sqm.in a 50 sqm lot area. Great location along Gov. Ferrer Drive in Barangay Buenavista II, Gianna will soon be accessible via Aguinaldo Highway once Daang Hari Road Extension is finished. 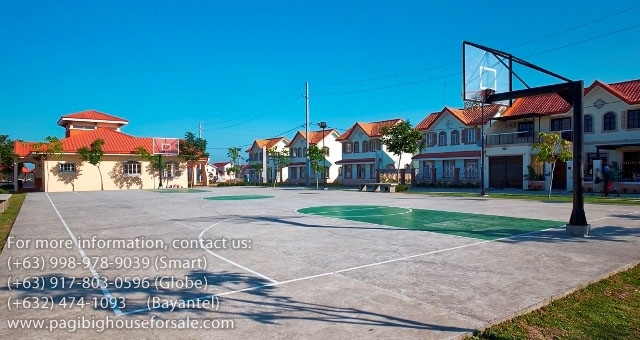 Live in a peaceful community with your family where complete amenities are there to enjoy. 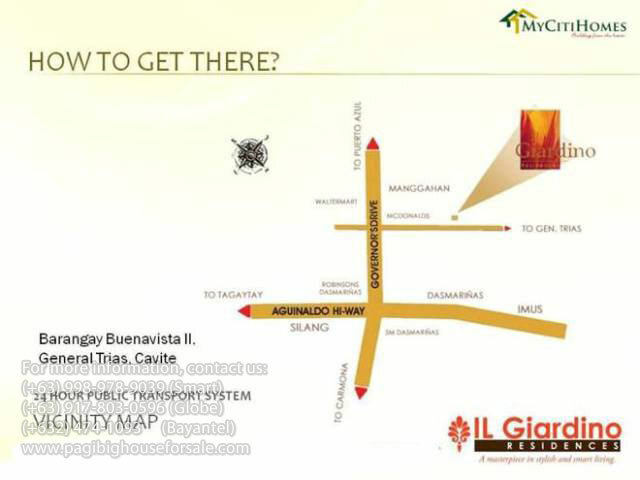 With Gianna’s close proximity to the main road, you will save time and money on tricycle fares. Have plenty of time to spend quality bonding with your family. Call us for your viewing schedule. Don't miss out! 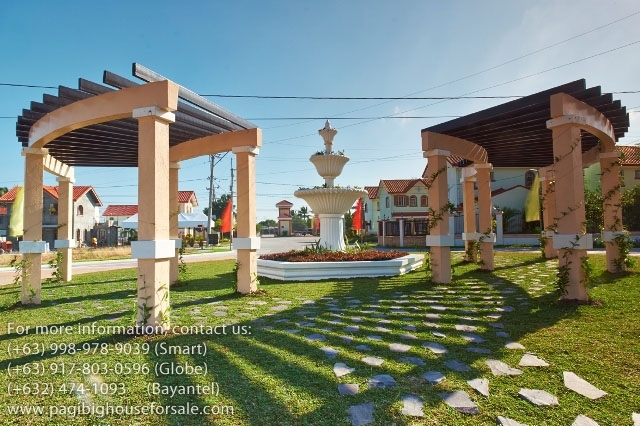 Now, you can move-in a Gianna at Il Giardino Residences thru this very limited 10% Move-in Promo. Reservation is on first come first serve basis. Take advantage of this very special but promo. Move right in, stop paying rent to someone else and start living in a location and home that is sure to impress. 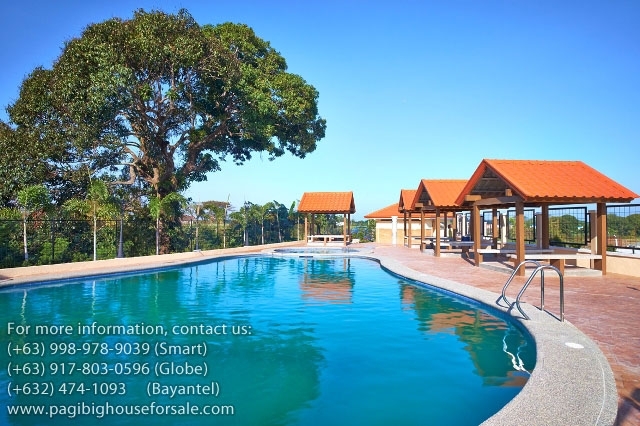 Few units available. Call now. 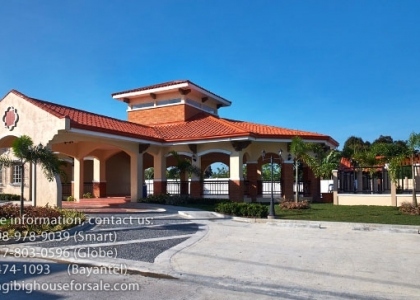 Developer/Owner Citihomes Builder & Development Inc. Deferred Cash – maximum of one (1) year to pay in equal monthly installment without interest. 3. Total Contract Price – includes Misc. Fees. But Title transfer expenses are not included. Equity/DP is strictly not refundable and not transferable. Pagibig – Up to 30 yrs @ 7.985% interest per year. Starts after loan take-out. Bank – Up to 20 yrs @ 10% interest per year. Starts after loan take-out. 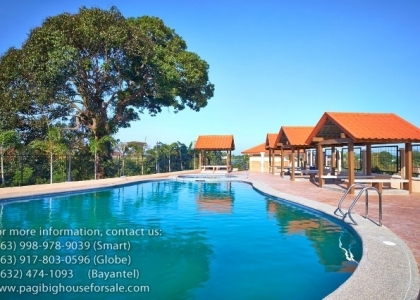 Pagibig – 4% of Total Contract Price. Not included in Total Contract Price. Bank – 3.5%% of Total Contract Price. Not included in Total Contract Price. Same amount for Pagibig, Bank, Inhouse, Cash Deferred or Cash Payment. 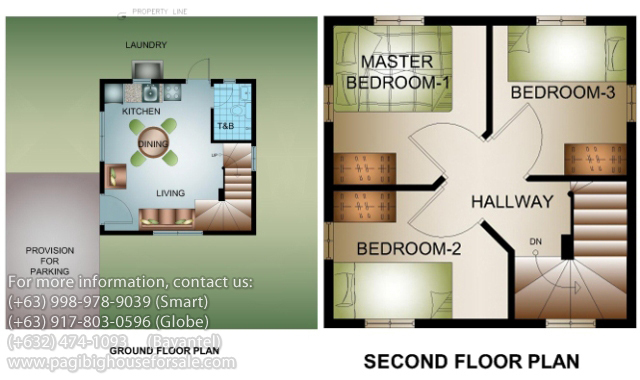 Amount: Php 4,000.00 – Installation of tiles and wall partition for Inner unit. 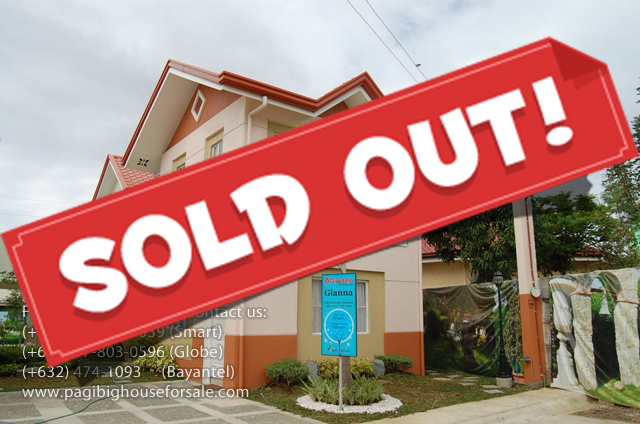 Inhouse Financing – Buyers are allowed to move-in after full DP & upon payment of doc. fee and issuance of post dated checks for the whole balance. Prices are subject to change without prior notice. Other terms and conditions apply. From Lawton, take an FX bound for Sucat to Coastal Mall in Paranaque. Tell the conductor to drop you off to Manggahan. From there you can take tricycle or maybe jeepney. Get off at Tejeros intersection.